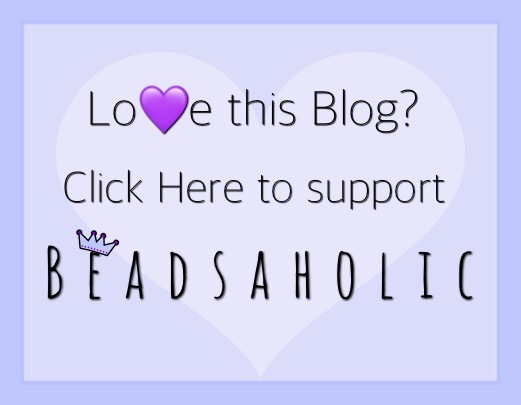 Today Beadsaholic brings the news of the 2019 People’s Bead! Submission for Trollbeads People’s Bead 2019 has now ended and voting is well on it’s way! So, I thought today I’d feature one of my favorite designers, Patty Jansen who has entered each year and always has fascinating works of art. This year she has submitted fifteen fabulous designs! You have until April 15th, 2019 to get your votes in round one. “I love to go hiking and a couple of years ago I was surprised by an avalanche. Seeing this from so nearby is scary and impressive at the same time. “As soon as a volcano erupts, lava is destroying everything in the surroundings. But at the same time lava can also create new land, like the Hawaiian Islands in the Pacific. After several centuries of weathering, cooled lava is very fertile and can therefore be used as agricultural land. “A typical French cookie which is made of two almond meringue-cookies with a soft filling of ganache or jam. The macaroon is available in many colors and flavors. “Flamingos are such elegant birds which we often link to exotic destinations with white beaches, turquoise sea and palm trees. Their feathers have different rich colors, the colors depend of their specie and of what they eat. Flamingos are favorite animals and you see them all around us in home decoration, toys, etc. 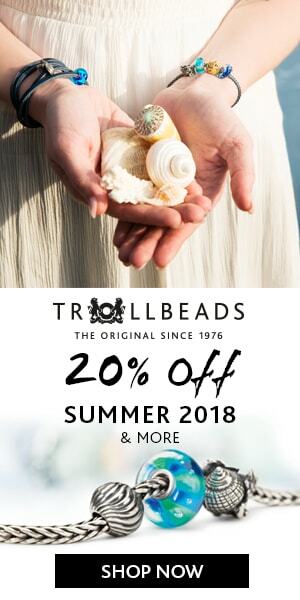 “As a mythological creature of the Scandinavian folklore, I think Trollbeads need a gnome in their collection. The gnome is associated with the winter solstice and Christmas season. He lives in the houses and barns of the farmstead, and secretly act as their guardian. If treated well, they protect the family and animals from evil and misfortune, and may also aid the chores and farm work. However, they are known to be short tempered, especially when offended. Once insulted, they will usually play tricks, steal items and even maim or kill livestock. “When I go hiking in the mountains I often come across piles of stones created by people. These piles of stones are called ‘cairns’ and are trail-markers. “During the summer I often see golden fields with wheat for miles and miles. Between the wheat you can sometimes spot blue cornflowers. This flower is now endangered in its native habitat by agricultural intensification, particularly over-use of herbicides, destroying its habitat. It is now naturalized in many other parts of the world through introduction as an ornamental plant in gardens and a seed contaminant in crop seeds. Over all, I see several designs here I’d love to have and look forward to looking through all the designs submitted this year. If you would like to vote on this year’s Trollbeads People’s Beads < Click here. Thank you sooooo much for this beautiful blog post. All I can say is that I follow my heart when I design and put love in each of my designs. Patty’s designs are always amazing!! I go through the horribly long and tedious voting process because I want to see at least one of her designs win. I would love to see one of her designs win as well, they are just so beautifully designed! That is soooooo sweet of you, it means the world to me. There are some wonderful beads to choose from. I just don’t like the format. I’ve spent over 2 hours on the site and still haven’t been able to vote on the above sunflower one. Plus, sometimes I don’t like either bead, yet I have to choose one – meaning that the bead that I love gets the same vote as a bead that just isn’t for me…. I might go back and keep voting. I really love the Summer Song and Wheat Field bouquet beads…. I love the summer song too. I agree the voting system is rather frustrating. Sorry to hear the system is as bad as previous years… but I am happy to see and hear you love some of my designs. Thank you so much ! I would love to vote, but the system requires me to vote for at least one of two designs appearing, even though I do not like either one of them. I cannot proceed to the next set of two without voting. This process requires votes for those some of us do not like at all, and thereby gives winning votes to those that are not so appealing, leaving out the ones I would like to get to. I wish Trollbeads would go back to an earlier system which allowed votes only for the ones a person liked. Yes, I agree. Many are not liking the setup for voting. I can only say that I completely agree with you. Fingers crossed that they will learn a lesson, I am sure many people have contacted them about this system yet. These designs are beautiful. I’d throw a party if the pierrot won. Ditto the comments from the others about the format of the voting. Thank you for the compliments about the pierrot I have designed. To be honest I have no idea which of my designs is a favorit, because I have had so many messages and everybody seems to love something else. I can only cross fingers and hope I will reach the finals.